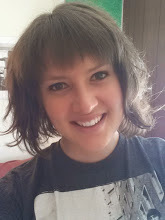 Young Adult Volunteer – Hannah in Zambia! In just a couple of days, Pres House alum Hannah Weinberg-Kinsey will be arriving in Lusaka, Zambia to begin a year of service through the Young Adult Volunteer program of the Presbyterian Church, U.S.A. We at Pres House are excited to be supporting her through prayer and finances as Hannah embarks on this journey. We invite you to follow Hannah’s journey through her blog. And hey, maybe you want to consider becoming a Young Adult Volunteer in the near future too!